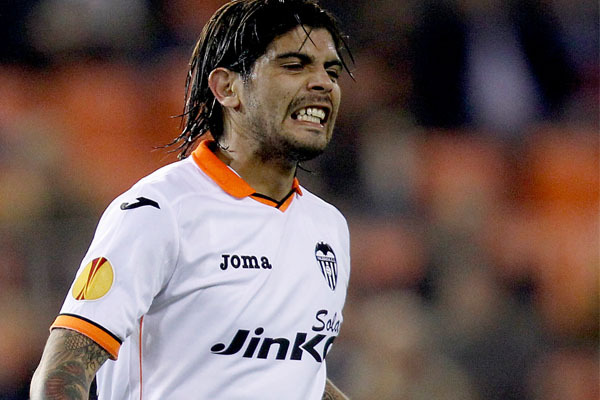 Valencia CF: Ever Banega and Dorlan Pabon on their way out? Ever Banega and Dorlan Pabon on their way out? Valencia CF is looking to rebuild in the summer and offload some of its "extra" players, trim the fat if you will and it looks like Ever Banega and Dorlan Pabon are the players who will be among the first on the exit door. Ever Banega is failing in the Argentinian league and hasn't been performing well even at a lower level so he is likely to be sold as long as anyone dishes out 8 million euros for him, possibly even lower as management is aware that with his poor performances he isn't going to attract big money. Dorlan Pabon is the second players who is most likely to leave in the summer as his performances in Brazil haven't been good and with Paco on the rise and Jonas as a cover with possibly one more new signing in the summer for the attacking position the club doesn't see Pabon fitting in the team. Right now there is no suitors for Pabon, though Valencia CF has reduced its asking price and will listen to offers anywhere in the region of 4 to 5 million euros. Adil Rami is basically certain to leave in the summer, there is no chance of him staying in Valencia CF and whether its AC Milan or other clubs the club is willing to offload him, though will look for offers in the region of 8 million euros and not lower. AC Milan right now is only willing to offer 6 million euros for the Frenchmen which is very low.